Filth and animal neglect found at a series of farms in Rogaland, southwestern Norway, were branded as “completely unacceptable” by Agriculture Minister Jon Georg Dale after a meeting with farmers’ representatives. They admitted to “attitude problems” within the industry and now face far more frequent inspections nationwide. 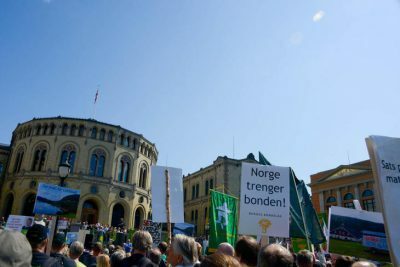 Lars Petter Bartnes, leader of the powerful national farmers’ lobby Norges Bondelag, is normally at odds with state officials in the farmers’ ongoing demands for import protection and subsidy. On Tuesday, however, Bartnes thanked the agriculture minister for what was called a “constructive” and “necessary” meeting. He was referring to the shocking results of surprise inspections by agricultural and food safety officials from state agency Mattilsynet. 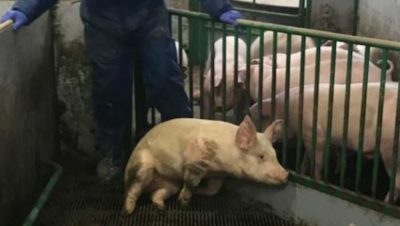 The inspections revealed excessively filthy conditions along with injured, undernourished and even dead pigs at farms in Rogaland. Many other farmers have also been cited in recent years for neglecting their livestock, mostly cattle and pigs. He added that consumers who are encouraged (and even forced through import restrictions) to buy Norwegian meat “must be confident that animal welfare is high” and that Norwegian-produced pork is of high quality. It will include better documentation and more frequent visits from veterinarians, a reporting system to follow up animal illness and injuries and a campaign to improve attitudes towards animal welfare among farmers. They are often held up as the champions of pure, locally grown food that’s clearly labeled and promoted as being superior to imported food. That’s used to justify the market regulation and import restrictions that keep Norwegian food prices high in comparison to other countries and allow farmers to earn money on small operations scattered around the country despite economies of scale. Bartnes of the farmers’ organization could only agree, not long before negotiations begin this spring on next year’s state support for farmers. “We will collectively and forcefully go in for changes in attitudes and culture, and to get the producers (farmers) to follow the routines that are in place,” Bartnes promised.